Make Your Head Look Like Pac-Man | OhGizmo! By Ryan Nill on 07/26/07 • Leave a comment! 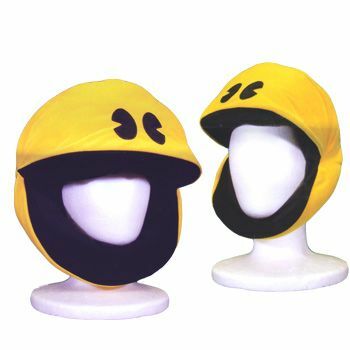 Plush-tastic PAC-MAN hat looks awesome and does very little else. It really just makes your head look like PAC-MAN. That’s it. And I, for the first time in my life, am rendered speechless.